At ThrottleQuest, we always try to find, device, cook, genesis, invent, every possible opportunity to ride a motorcycle and have fun while doing so, but then, there are times, when nothing just happens! So, in our Quest, we hit the training grounds to train ourselves, better ourselves, sharpen ourselves, so that when we get our next opportunity to ride, we do so in style. This weekend's ThrottleQuest Training Ground was all about knee scraping. 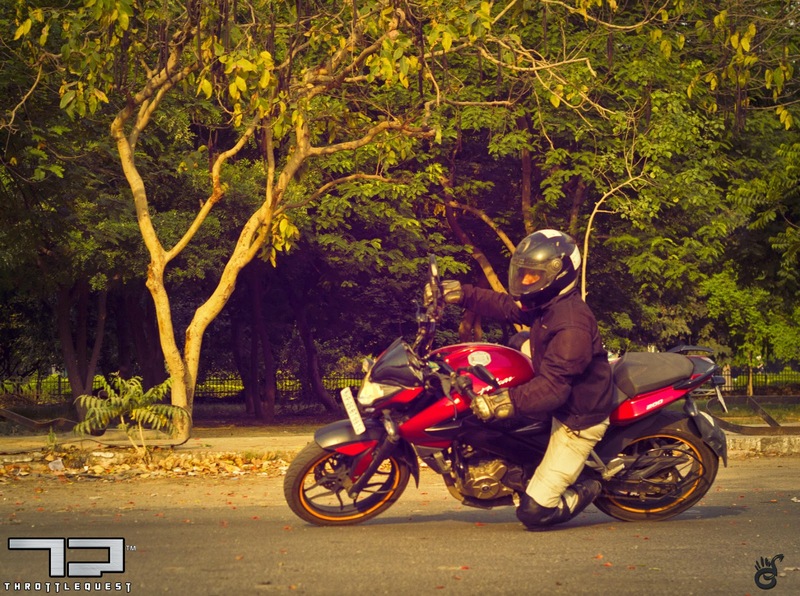 Scraping the knee is not just a fun and glamorous motorcycle riding style, it's much much more than that. It needs a lot of confidence, discipline and practice to master the technique, a technique that would eventually become your instinct while riding motorcycle. It's a technique that would eventually allow you - the rider, to be in control of your motorcycle and keep on pushing it, keep on mastering it and above all, keep on falling in love with everything about a motorcycle all over again. After this weekend's practice session, we understand a lot about body positioning, moving around on the motorcycle, controlling the throttle at slow speeds and above all adjusting to sudden changes in riding conditions. We practised a lot, had fun but still there's a long way to go. 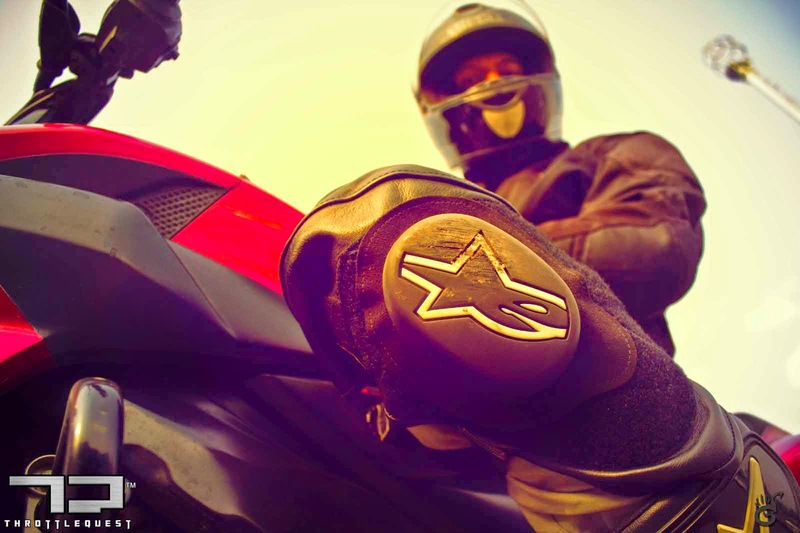 Imp Note: ThrottleQuest training grounds are conducted in a fully controlled environment and with complete riding gears on, and under the guidance and vigilance of experienced members.